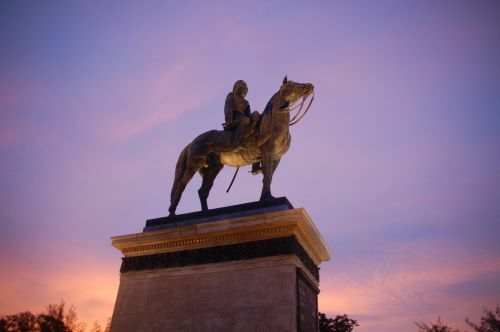 The entrance to the Dusit Palace is a gigantic motorway with the statue of King Rama V (Chulalongkorn) riding a stallion right in the centre. The entrance to the Dusit Palace is a gigantic motorway with the statue of King Rama V (Chulalongkorn) riding a stallion right in the centre. 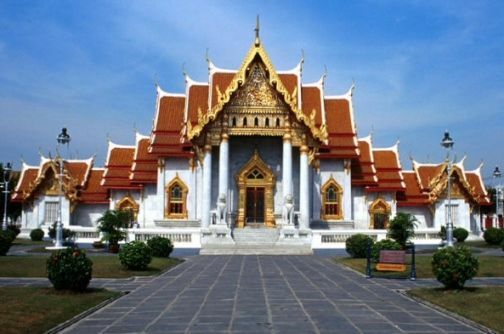 It is the first monument dedicated to a Thai king, completed in 1908 and inaugurated by King Rama V himself. The monument is paid from public donations, as the Thai people were grateful of King Rama V's pursuit of modernizing the country. Each year on December 5, the Trooping of the Colours ceremony is held here.